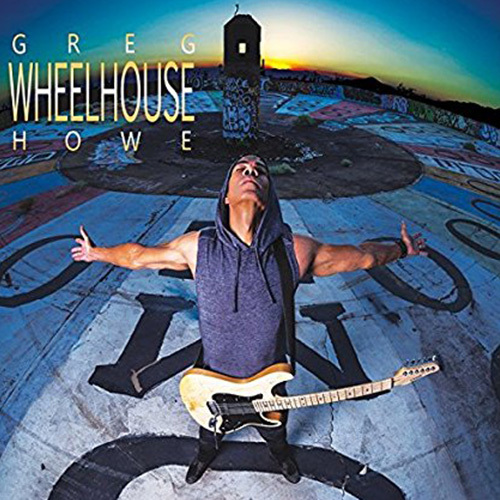 Greg Howe is back with an all instrumental album titled, Wheelhouse. Described by Howe as his most personal work to date, the album is full of the in the pocket guitar playing with ample feeling and rock/fusion shredding that we all know and love from Howe. Howe continues to show he is a technical innovator, particularly his musical utilization of tapping, unusual time signatures and his legato single note playing style. The feels on the album range from slight Latin grooves, rock, funk and swing all performed in a way that equals outstanding shredding fusion. Howe also performs one solo acoustic selection that is a dazzling display of tapping and finger picking on the acoustic guitar. In 2012, Howe decide to take a break from the instrumental world and focused on a rock band named Maragold, which had much success. Wheelhouse marks his return to the instrumental world. Howe shreds with such feeling and groove that all music fans can relate. That’s the short of it! Howe has technique, but what he has in spades is groove, so each line sits in the pocket and feels good. Now, add all the prowess of shred guitar and you have something special in Howe. His warmly distorted, but clear tone and his fret-board wizardry is always conveyed in a positive atmosphere. "Shady Lane" is the only vocal track on the album, with an emotionally charged vocal performance by Richie Kotzen. With Howe, you will not find the double bass pulsing, heavy walls of distorted guitars and aggression that modern day shredder’s have, but that’s the point, Howe shreds in a way that transcends the typical guitar hero motifs. Wheelhouse is a superb album. Howe’s legato playing style and his use of right-hand tapping to augment his legato left-hand work is outstanding. Howe’s musical language is rich in blues and jazz colors and never loses sight of the real point, GROOVE! If you like your shred in your face and banging your head, don’t pass this album off just because it is more funk based, the shred is there, or if you prefer it subtle and funky, it’s in here, believe me it’s Here, just LISTEN!